Details: This will be a 12 figure blind box set released only in Japan. 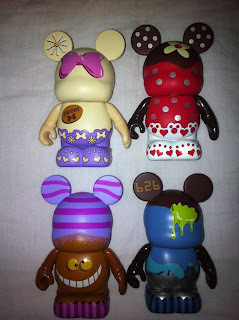 Update: 1/10/12 Lindsey (@lindols) sent in a picture of 4 Romantic Treat Vinylmation up close. I will say they look a lot better and more detailed than I thought. In face, the one I didn’t like, Donald, is now one of my favorites. The yellow candies are shaped like his feet and there is an icing swirl on top like it’s his tail and he his upside down. Also, she mentions they actually have a sweet scent to them! Here is Lindsey’s take: I must say they are a lot nicer than I thought. I was only getting them because they did a Donald and Daisy. I really wasn’t a fan of Stitch from tr artwork we saw but he looks really good the silver and it is an excellent touch. Goofy is also very well done but he is up for trade as I NEED Daisy. The chaser is ok. I suppose if we had got Buzz it would have been better but now I have a chaser that I can use to trade for something I need. They have a smell to them almost like chocolate but more sweet which makes them even better. Also, a reader Nelly sent us even more close up photos of this set. With all these pics from readers who have this set in hand, I can really see the figures have much more detail than we originally thought. The box design looks wonderful! I really like the theme on this one. 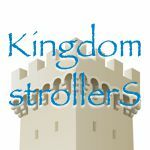 Thank you to @t0my26 for some info here. 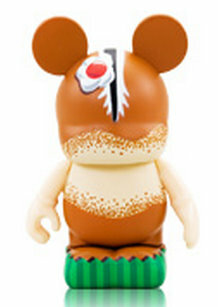 The Japan Disney Store Online website has posted these higher quality images of this, so far, well received set. Let us know your thoughts and what character you are hoping for the mystery chaser. Cheshire Cat is coming in strong with a ton of vinys of late. A crazy happy smile on the belly looks purrfect. and his signature colors adorn the head, ears and wrapper. A perfect black and white strip on the head representing the tail. It’s kind of icky to think of eating it, but looks great! I also like the candy on top of icing on the head with a brown one for Chip and a red one for Dale. Its a great touch. While the heads are great, the bodies leave a little to be desired. They are kind of plain compared to the other figures in this set and could have used some acorn decorations in the wrapper. Donald looks almost turned upside down with with icing on top dripping down onto his yellow buttons. Blue icing also covers the ears and head representing his clothing. And his wrapper is yellow with blue. He has a candy on his body that says “bittersweet”, perfect for the angry duck. There is also his hat on the candy. Donald is my favorite Disney character, but I think this cupcake has the least amount of character. His hat in the right ear and the yellow/green icing on the head topped with a… goofy looking swirl. Like Stitch, his bottom has a kind of torn look to it. 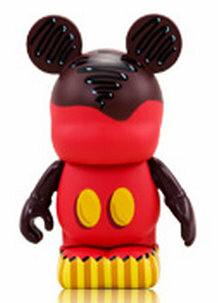 I would have liked to see a different color, or again, more adorned wrapper for Goofy. 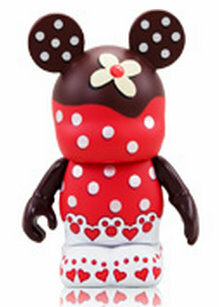 We don’t have many Daisy Vinyls yet (Nerds Rock!). I like the clean look of the mostly white vinyl that makes the purple wrapper and pink bow really pop! 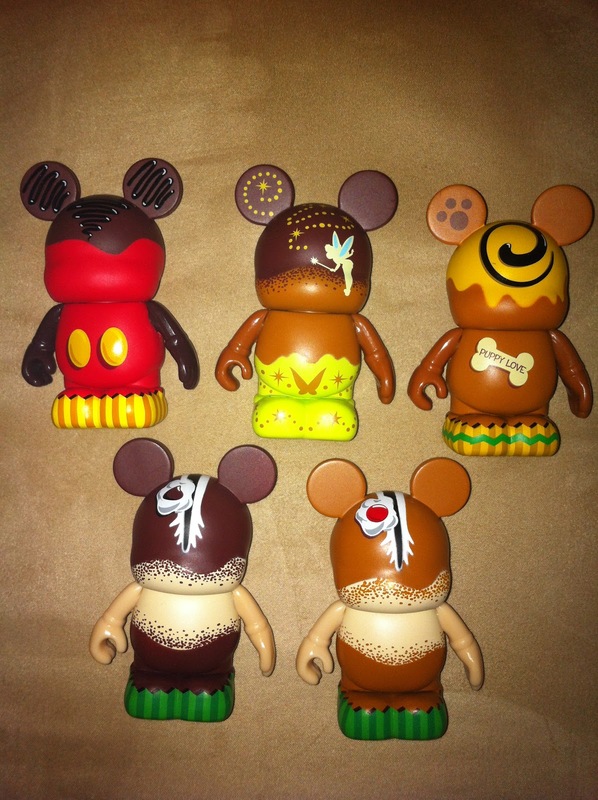 A cool use of the ears in this set with little nods to the characters. Daisy of course has a daisy. She also has hearts, daisies and bows in the wrapper. Her candy on the body says “sweet” with her bow, as opposed to Donald’s “bittersweet” candy. Thanks to the commenters below with sharp eyes that helped us with this one. Mostly red with yellow buttons and a yellow wrapper. 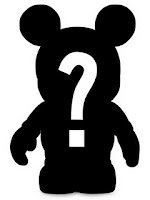 The colors are simple, but make perfect sense for this mouse. His head has a dark icing drizzled with a chocolate sauce. Deliciously fun! Her red and white poke a dot dress goes across her head and body. It’s another simple yet great design element. I really like the Mickey heads and hearts in the cupcake sleeve. That’s what i’m talking about when I say others in the set lack. This dog has a bone candy on it’s belly that says “puppy love.” The paw print in the ear is a great touch. 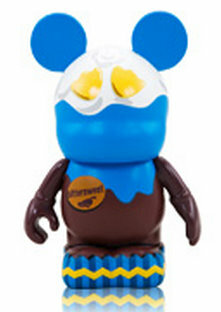 The head is similar to Goofy’s, with icing and a swirl. Stitch is covered in blue with a green glob dripping down. Maybe representing his spit at the beginning of the movie? I like how the wrapper is ripped up a bit and with these higher quality images we get to see the 626 in the ear which really gives this the look of our favorite blue alien. Tink is flying in the head of her cupcake, spreading pixie dust of course. A simple, yet effective use of ears. The yellow bottom looks great with a butterfly painted on and stars. meh. i don’t care for these. 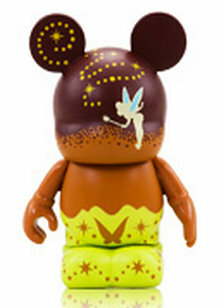 That is not Marie….it’s Daisy, hence the daisy in the ear and the Sweet/Bittersweet labels that her and her counterpart Donald have. I think the Marie one is actually Daisy, who also wears a pink bow. Then the Daisy in the ear makes more sense. I personally think this entire set is awesome! I love the subtle character suggestions…very creative!